The ad giant’s CEO of 32 years left after a misconduct probe, but is still eligible for a bumper share award. Chairman Roberto Quarta can kick-start a turnaround by selling WPP’s market-research arm. A braver buyer could make a decent return by taking the $21 bln group private. 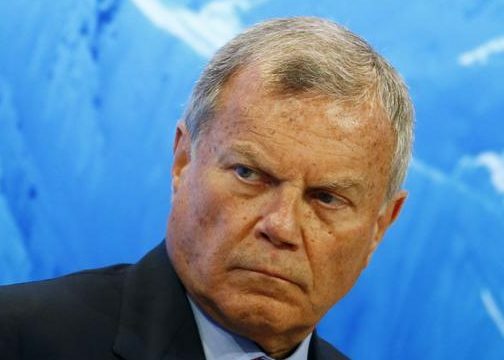 WPP on April 14 said Martin Sorrell, the ad group’s chief executive of 32 years, would step down with immediate effect. Chairman Roberto Quarta will become executive chairman until the appointment of a new CEO. The London-based group has promoted Mark Read, CEO of digital-marketing agency Wunderman, to be joint chief operating officer alongside Andrew Scott, currently the group’s corporate development director and COO for Europe. An investigation into Sorrell’s alleged “personal misconduct”, announced on April 3, has concluded and did not involve amounts of money that are material for the company, WPP said. Sorrell denied the allegations but in a letter to WPP staff published on April 14 said the "current disruption" was "putting too much unnecessary pressure on the business". Sorrell will be treated as having retired on leaving WPP. His share-based compensation will be awarded in line with the company’s remuneration plan and will vest over the next five years depending on whether the group hits performance targets detailed in the pay policy.